Close your eyes. Humor me for just a bit. You will be able to do this to someone else. Now, close your eyes and take a few deep breaths. I want you to imagine a place, of your own choosing. A place you like to go to. It is relaxing, calm and serene. Take another deep breathe. What do you hear? Are there birds chirping in the trees? Is there a soft breeze? On the wind, can you smell a fragrance? Is it cedar, salt, sandy coconut, mint, watercress or lavender? Feel yourself in the moment, fully relaxed. How is the temperature, what are you wearing? A heavy grey flannel and dungarees or your favorite bar t-shirt and shorts. Inhale once more, relax and open your eyes. Where did you go? What is it that gives us peace? Was it near water? Open water, a lake, the bay or lagoon or big open seas? Running water, gushing rapids over house size boulders, or a seamingly endless cool stream down a mountainside? This is an exercise I learned from a teacher at the Au Sable Institute of Environmental Science, Paul Wiemerslage Jr., who happens to assist me with the Salmon in the Classroom students I visit monthly to help connect to the natural resources we have at our back door. It was of no surprise to me that nearly all of the students envision a place on the water to escape and to relax. Whether it was on the beach or on a boat or wading in a stream, most were on the water. One student claimed Cedar Point was his oasis, to each their own. We are very fortunate in Michigan to have a body of water within a few short miles of any locale in the state. We are within a bike ride of serenity: a beach, a lake, a river or stream is less than five miles. But not all of these places of tranquility are as peaceful as they once may have been. Rivers have traditionally been used and abused over the past century for their power and ability to transport raw materials from inland territories to the lakeshore for export. The neglect and abuse was not limited to industrial uses. Many cities leashed rivers for the inherent power they contained. They were also used as dumping grounds because the remnants of bygone eras seemed to simply wash away downstream and disappear. Other incidental neglect occurs in our vast need for farming our great state, watering the acres of corn and potatoes did not come without a price. Grazing farm animals also taxed these great arteries of the state, eroding banks and depleting suitable spawning grounds while simultaneously saturating the ecosystem with excrement overloading it with phosphates and nitrates while depleting vital levels of dissolved oxygen for sensitive macroinvertebrates. These are just a few of the connecting threads for a healthy riparian ecosystem. Thousands of Trout Unlimited volunteers work to restore these often overlooked habitats and return them to a place in time when they were at or near ecological equilibrium. A lot of interested parties ask me what exactly does Trout Unlimited do? 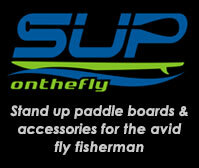 If you are not a fly fishing club, a trout fishing club, or a fly tying group, then exactly what are you? Basic premise is quite simple, take care of the rivers and the trout will take care of themselves. Trout Unlimited has a four pillar approach to making this happen, and they all magically interconnect: Restore, Reconnect, Protect and Sustain. We seem to be losing our last wild places at an alarming rate. These need to be protected at all costs less our future generations will not have a serene lakeshore or riverside to escape to. Repairing rivers can be easily accomplished with the right partners and multiple watershed organizations by removing fish passage barriers and outdated road crossing that may impede trout and salmon from reaching spawning habitat. Restoring rivers that have been neglected by over-development, agricultural over use, industrial pollution and erosion. Every river has its own fingerprint, each has a specific need and a unique set of obstacles to achieve proper fish populations. Sustain utilizes the passing on of this passion to the next generation, keeping rivers that have been repaired to maintain a healthy status quota. 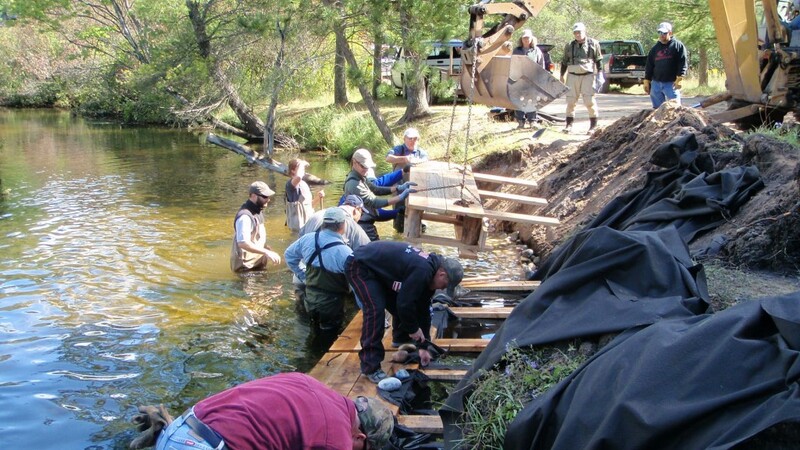 One may be surprised to know that there are projects sponsored and monitored by TU members from some of the largest well known rivers like the Au Sable River and the Manistee River to lesser known, sometimes un-named tributaries that trickle underneath many country roads. Even the smallest little country creek provides a rearing sanctuary for young trout and salmon and should not be over looked. Watching a river or stream slowly gain habitat and better trout populations through the efforts of a few like minded organizations and individuals is what Trout Unlimited is all about. I hope to look back when I am in my senior years and know that I was a part of a greater cause that helped a river or two.